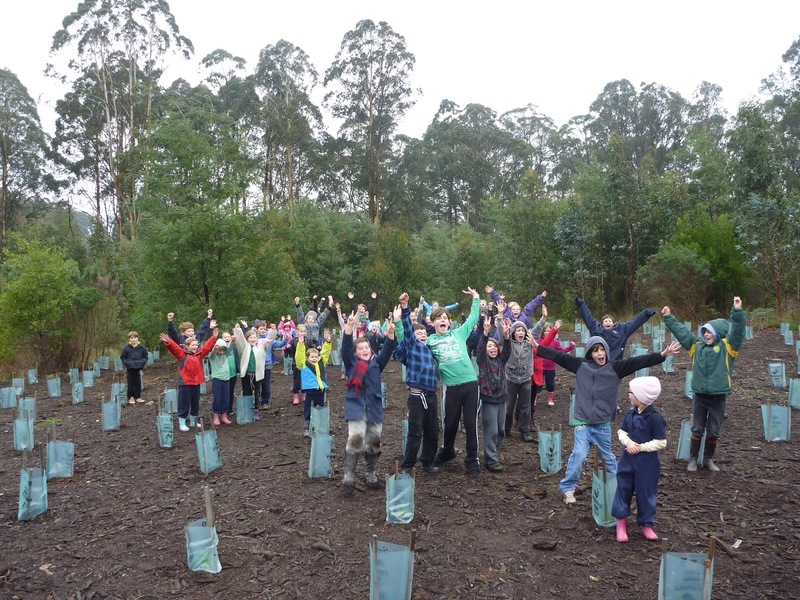 UGLN and the Kinglake Landcare Group hosted two National Tree Day activities at the Koala Browse Reserve in Kinglake. On Friday 26th July 50 students and teachers helped to plant almost 400 plants in only a few short hours and on Sunday 28th July a small band of dedicated volunteers in windy and cold conditions helped plant a further 240 plants. 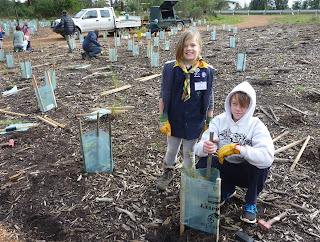 This site was important because it is an area that was devastated by the 2009 fires. 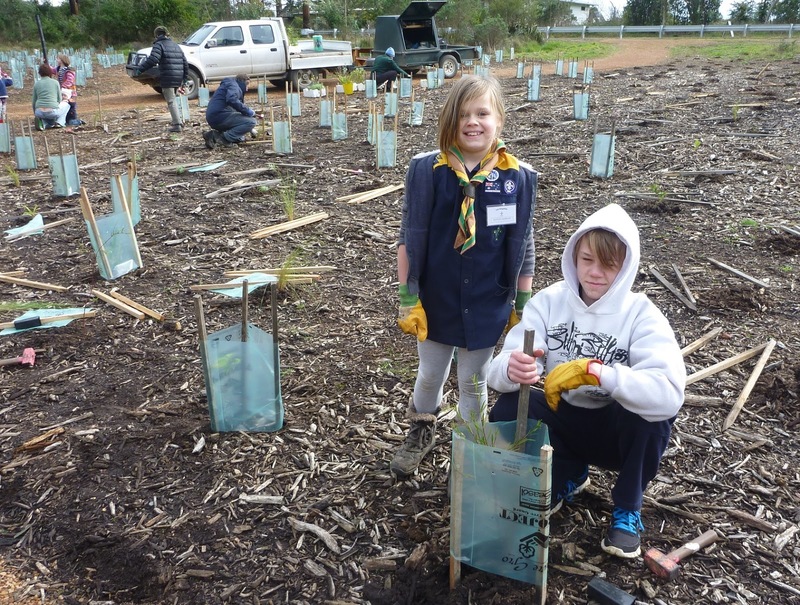 The aim was to revegetate the area to increase biodiversity and provide habitat for wildlife including the Greater Glider and Long-nosed Bandicoot that live in the adjacent Number Two Creek Reserve. 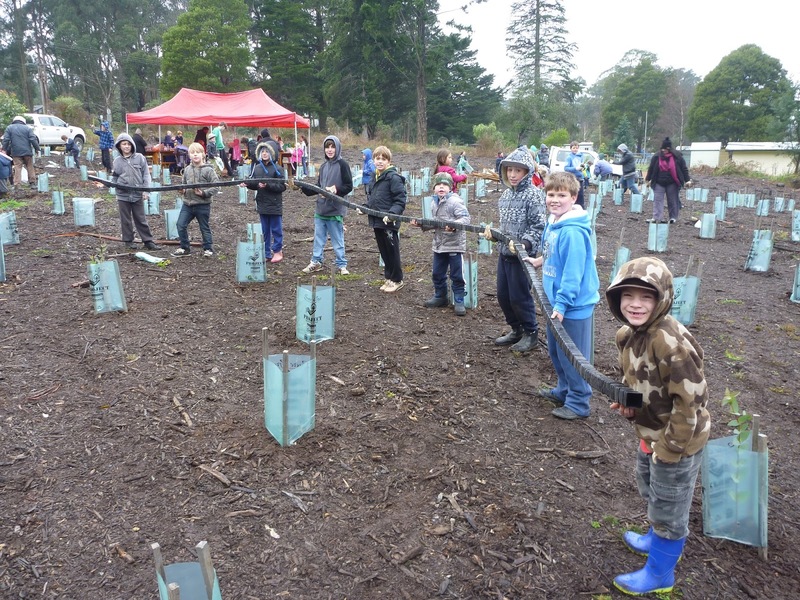 We would like to thank 15Trees for helping to provide the trees for this important project. Great job everyone. Sorry I couldn’t be there to help. John.